DLNA, and printer server for genuine multi-role functionality. 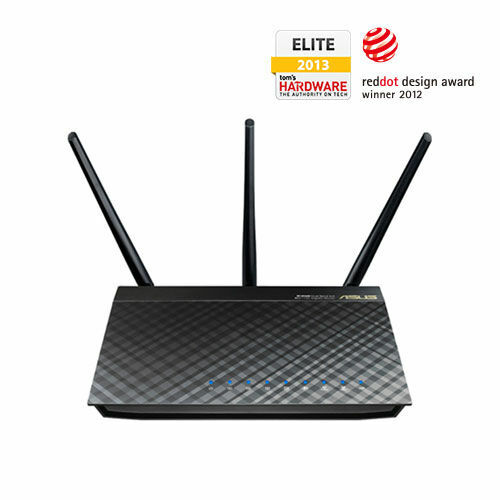 the world’s first dual-band wireless routers to support the advanced 802.11ac wireless protocol, enabling 5GHz operation at up to 1.3Gbps. 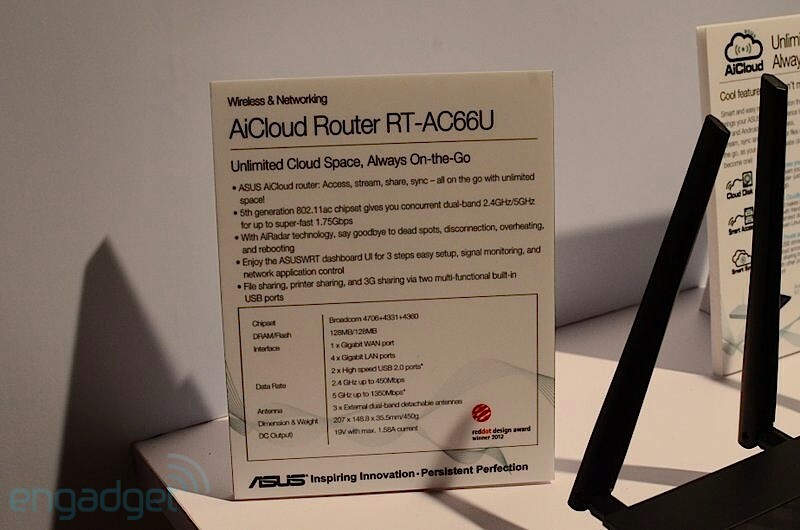 of 5G WiFi makes the RT-AC66U one of the most future-proof routers on the market, ready for the next generation of high speed networks. server, letting users share resources for greater productivity while reducing costs as there is no need to buy standalone server hardware. 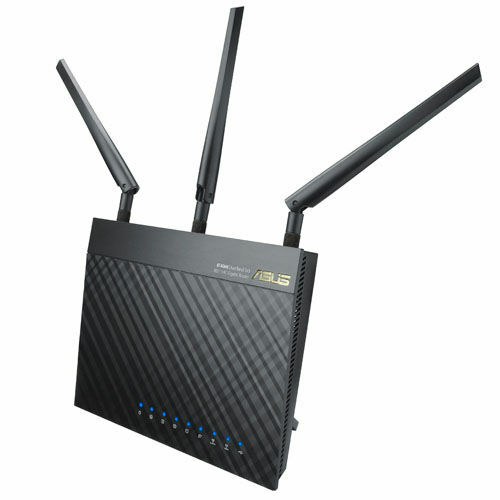 In addition to the RT-AC66U router, ASUS has also released the PCE-AC66 and USB-AC53 clients, both capable of 802.11ac speeds. 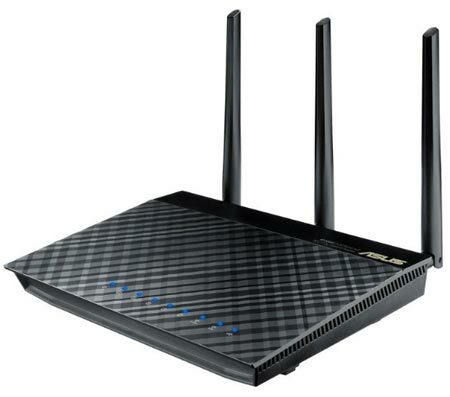 technology leadership in bringing an 802.11ac ecosystem to consumers. Last edited by hggomes; 05-06-2012 at 02:58. Last edited by !gm; 05-06-2012 at 14:19. Too expensive in my opinion and i don't think it's a typo, either way 3rd party FW's could take some time to be released. To good to be truth? I doubt RT-AC66U CPU changed. Last edited by hggomes; 06-06-2012 at 19:28. Why not a 1GHz mips? tbh... 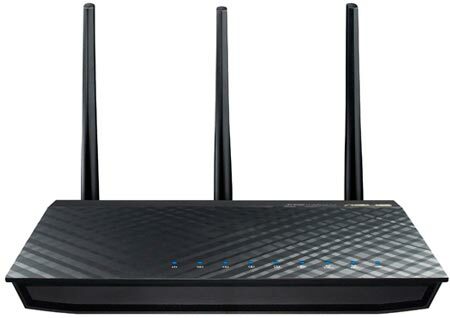 I'm not going to buy any draft devices anymore tbh... this 802.11n is more than enough for me atm. Asus RT-AC66U FCC MSQ-RTAC66U CPU BCM4708 1GHz ? Switch BCM53125 1Gb ? Great finding CPU? Same as RT-N66U at 600MHZ? Or new ARM CPU 1GHZ? Not the same as in RT-N66U, because there were one BCM4706 CPU and two BCM4331 radio chips on PCB. Will be RT-AC66U use CPU BCM4706 (MIPS 600MHZ like RT-N66U) or BCM4707/4708/4709 (ARM 1GHZ)? I know its a BCM SoC, but which one? Is there a confirmation? Last edited by hggomes; 15-06-2012 at 21:54. Will be RT-AC66U use CPU BCM4706 (MIPS 600MHZ like RT-N66U) or BCM4707/4708/4709 (ARM 1GHZ)? I know its a BCM SoC, but which one? Is there a confirmation? Thanks, that means (in my opinion) it not worth the changing. - No MiniSD Card slot. Last edited by hggomes; 18-06-2012 at 18:06. And these are the reasons i prefer our firmware here, on top of openwrt and stuff... No worries about what is packed in the Firmware and does it fit. You want 1 GB program-data? No problem my partition is 2 GB.